Small bathrooms are a common feature of most apartments. If you’ve been wanting to make a change to your apartment bathroom, but you don’t have the option to renovate or aren’t interested in the cost or mess of a renovation, new shower walls and similar products can provide an affordable alternative. Should You Get Rid of the Tub? If you have the option to get rid of your tub, you may be wondering if you should. The truth is that there are no hard and fast rules. It really comes down to how much you use your tub. Depending on the style of your shower, you will have different options. For example, in bathrooms where the tub and shower are separate, removing the tub can free up a lot of space. If you have a tub and shower in one, but don’t often use your tub, you can remove it and install shower walls or a shower surround. 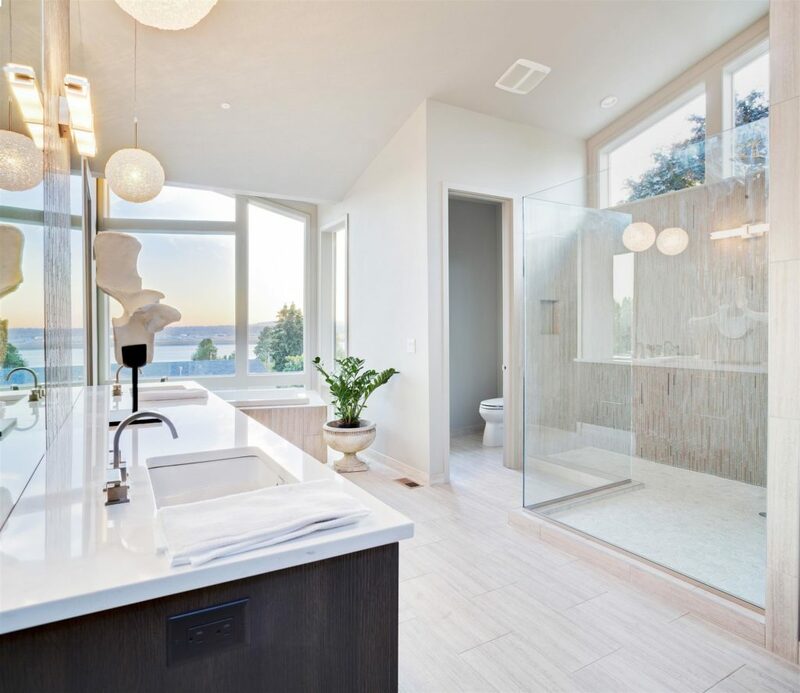 Many have installed glass walls in their showers, along with new shower enclosures. These clear glass walls allow the shower to have a barrier to prevent water from escaping, but allow light to pass through. The transparency of the walls instantly increases the perceived space of the room. New shower enclosures are ideal where an affordable way to change the look of the shower quickly is desired. There is another way to completely change the look of your bathroom without making a major change. You don’t necessarily need to remove your bathtub to do so, either. Again, it all depends on your preferences. Installing a brand new bathtub enclosure can be a great way to cover up tired-looking tile and grayed-out grout; this product goes right over your walls, providing a 100% watertight seal and a brand new look that lasts. If you have a window in your shower, you can also transform this with a brand new window kit. 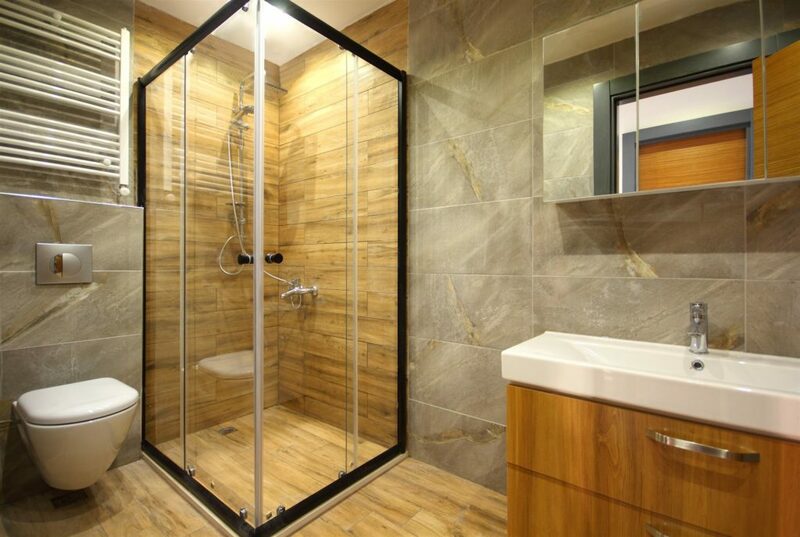 Corner shower stalls are all the rage, these days, both for their compact nature and stylish appeal. This affordable option allows you to free up a lot of the space in your bathroom, all while adding an updated look. If you’re looking to add even more in the way of visual impact, you might consider some inexpensive accessories. Once you’ve installed a surround, window kit, or corner shower stall, you may want to continue the transformation with some accessories. This can be easily done with items like candles and stand-alone lighting. However, you can also bring it all together with color. Choosing towels, rugs, vases, and wall art that contain similar colors can do a lot to make your new bathroom look incredibly stylish. When you want a new look for your bathroom, American Bath Enterprises can help. Our top-quality corner shower kits, inserts, shower walls and other products are designed to add lasting beauty to your bathroom; call 1-888-228-4925 today to learn more.